You can use this class outline for building your class using the examples below, your own experiences and yoga training, and YouTube videos from professional and talented yogis. I recommend this program in India (The Yoga Institute) for getting your teacher‘s certification. I completed mine there and appreciated the focus on the ancient texts of yoga. Free downloadable pdf file for yoga class outline. Start in easy pose or lotus pose. Consider adding hands overhead for a transition pose in-between poses. Sequence: Do each 3 times and then reverse. A: Prāṇāyāma: alternate nostril breathing (Nadi Shodhana Pranayama). This is to prepare for the yoga class. B: Shoulders up, forward, down, backward (shoulder shrugs). C: Straight arms parallel to ground, then forward, middle, and back (optional lift on backward). E: Right hand on left knee and left hand behind the back for support then twist right. F: Side bend. Right arm up and over with left hand pushing on the opposite knee. G: Same as C above only now you round forward all the way to the ground. H: Neck bend with left hand on the right ear and right hand pushing on the opposite knee. I: This is similar to C above, but with hands behind neck and elbows close forward, wide middle, and close backward. J: Class desired or requested seated warm-ups time permitting. Free downloadable pdf file for Phase 1. A: Neck rotation in big circles. B: Neck is moved center, left, center, right, center, up, and center, down. C: Shoulder Shrugs up, forward, down, backward, etc. D: Pelvis small circles then hip big circles. E: Thumbs up eyes back and forth between thumbs. One hand is near an armpit and the other arm is fully extended at about forty-five degrees from the body. F: Eyes rapid then slow blinking. Pick a fixed object that is not close but that you can see clearly. G: Eyes up, middle, down, left, right, stopping at each position. The neck does not move, just the eyes. H: Eyes positions on a large imaginary compass. Mark out all four positions by blinking each spot. I: Side bend holding wrist overhead. The right hand holds the left wrist and pulls to the right side. Keep feet and hips flat. J: Twirl left and right ankles toenails up and then with toenails down on the ground. K: Right hand on the left wrist then bend right. Arms fully extended. This is a wrist stretch. L: Right elbow overhead push down. Archer’s arms stretch. M: Class desired or requested standing warm-ups time permitting. Free downloadable pdf file for Phase 2. Start in mountain pose with hands to heart. A: Hands overhead and tilt backward. B: Forward fold or Uttanasana (hold). C: Halfway lift or Ardha Uttanasana (hold). D: Right foot back with toes tucked (hold). F: Plank pose or Kumbhakasana (hold). G: Knees, chest, chin down, hips up or take a Chaturanga. I: Cobra or upward-facing dog pose. K: Downward-facing dog (take 3 breaths). L: Right foot forward or high lunge (hold). P: Mountain pose or Tadasana. Q: Hands overhead and tilt backward. R: Hands to heart, Anjali Mudra, or prayer hands. Same as above only switch feet. “D” becomes “left foot back.” Etc. One sun salutation consists of both “D” positions, both left and right. Four sun salutations are usually enough for one class. Free downloadable pdf file for Phase 3. Start in star pose (utthita tadasana) for transition in-between each set and pose. A: Warrior 2 both sides. B: Side Angle both sides. C: Exalted Warrior both sides. D: Humble Warrior both sides. F: Warrior 1 both sides. G: Wide stance into a side bend. H: Hands to center and then to each ankle. J: Hands to center then arm to the sky. K: Wide downward dog (hands to the floor). L: Hands on hips rise with a straight back. M: Goddess Pose in moving circles. N: Goddess Pose (6) with the tiger breath (Vyaghrah Pranayama). O: Gorilla Pose (hands under toes). P: Reverse Gorilla Pose (hands under heals). Q: Class desired or requested standing stretches time permitting. Free downloadable pdf file for Phase 4. Start in mountain pose. Reverse and do the other side. B: Standing Half Lotus (Padmasana). D: Warrior 3 Pose (Virabhadrasana 3). E: Half Moon Pose (Ardha Chandrasana). F: Knee or leg straight forward & side (Utthita Hasta Padangusthasana). J: Class desired or requested standing balances time permitting. Free downloadable pdf file for Phase 5. Three repetitions. Reverse and do both sides or directions. C: Boat Pose (Paripurna Navasana). D: Butterfly Pose (Baddha Konasana). E: Feet wide: forward bend & back lift. F: Right leg wide, left foot thigh, bend. G: Joy Pose backbend in the above pose. H: Cow Face (Gomukhasana) & archer’s arms (Viparita Virabhadrasana). I: Seated side twist (Matsyendrasana). L: Class desired or requested seated stretches time permitting. Free downloadable pdf file for Phases 6 & 7. Start in Table Top Pose. Reverse & do both sides. 3x or more. A: Cat (Marjaiasana) & Cow (Bitilasana). Experiment using a wide circular motion. B: Downward-facing Dog Pose (setup for next pose). C: Pigeon Pose (Pada Rajakapotasana). E: Needle Pose (Parsva Balasana). F: Downward-facing Dog Pose (setup for next pose). G: Lizard Pose (Utthan Pristhasana). H: Downward-facing Dog Pose (setup for next pose). I: Stomach flying (lying down raised limbs). K: Class desired or requested stomach stretches time permitting. Free downloadable pdf file for Phase 8. Start in star pose on back. Perform both sides when appropriate. A: Knees to Chest: side rock and roll. B: Knees to Chest: front rock and roll. C: Supine windshield wiper (Supta Sucriandhrasana). D: Supine twist & stretch (foot to fingers). F: Bridge (Setu Bandha Sarvangasana) or Wheel. G: Shoulder Stand (Sarvangasana) or another Inversion. H: Happy Baby Pose (Ananda Balasana). I: Diamond Pose (relax under stress for two minutes). K: Long body stretch of arms & legs. L: Knees to chest & roll to the fetal position. M: A seated position of your choice. N: Close with Aum and Namaste. Free downloadable pdf file for Phases 9 &10. Yoga is the perfect preparation for meditation. Yoga has the benefits of increasing balance, flexibility, and openness. These benefits are good for your body, mind, and relationships. Yoga is about balance; therefore, be sure and do the same poses on both sides and in both directions whenever possible. Yoga develops from posing, to breathing, to moving meditation. Yoga develops from consciousness of poses to consciousness of breathing, to consciousness of meditating. Yoga practice is a practice of approximation to ideal poses. Yes, some people can perform some of the poses in an ideal manner. However, the goal is to increase your balance, flexibility, and openness, and that is best done by approximating the ideal poses without any expectation of ever reaching them. Breathe in and out your nose unless it is a specific open-mouthed breathing exercise. Breathe in on an upward movement and breathe out in a downward movement. Perform poses relying on Energy, not thinking. Trying to balance using your thinking will keep you unbalanced. Find a fixed point to stare at to help with your balance. Dancers also do this and especially when spinning. Once you are comfortable with the basic poses then start to focus on your breath instead of your body. Move with your breath once you are comfortable with poses (asanas). Follow the ideal pose or form. Do not try to stretch lower or higher to appear to be better at yoga. In other words, your position matters only in relation to the pose and not in relation to perceived flexibility. You can make any class more challenging by adding isometrics to your poses. By pushing and pulling in opposite directions you not only strengthen your muscles, you also align the left and right hemispheres of your brain. Stop trying to do poses and just do them. Stop trying to think poses and just do them. Stop trying to know poses and just do them. Stop letting your mind get in the way of poses. Stop trying to control or change poor poses into better poses. Learn to switch to letting the pose be done for you: nondoing. Switch from thinking to posing. When in a pose like shoulder-stand that puts your neck in a vulnerable position, only look at the ceiling and never around the room. Strain in a pose is a sign that you need to open up there; therefore, continue stretching that area. Pain in a pose is a sign that you need to back off until you open up more. Find poses that you can do for that area of your body to open it up more. 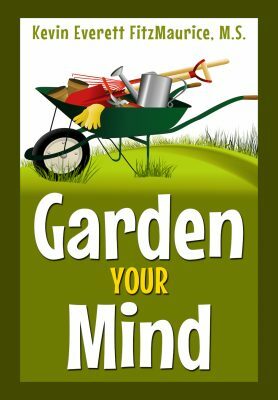 Move your mind inside of stressful areas of your body and then beath in and out of those locations. This will provide healing energy and also keep your mind from making problems. Relaxing in star pose while lying down for Savasana, instead of corpse pose, can teach you to relax under strain and stress. Fall into the strain, rest and relax in the strain, and wait upon Energy to relieve it over time and practice. You will not fix the strain. Your body will not fix the strain. Your mind will not fix the strain. Being under Energy will relive the strain and bring new flexibility and openness over time. Wear loose-fitting clothing for yoga classes; however, some recommend elastic or stretch clothing such as that worn by dancers due to its support and added protection. Yoga is traditionally done in bare feet; however, there are yoga socks and toe shoes that can work if you need foot covering or support. Normal socks and stockings are never recommended because they increase slipping and slipping can be dangerous. Yoga blocks, straps, and props are both recommended and not recommended. The positives are props help you get into poses. The negatives are props can be used as a crutch and limit stretching. A middle approach is best if you intend to experiment with props: use to find poses but not to make poses easier or too easy. Never eat before a yoga class. An empty stomach is best and that means not eating 2–3 hours before class. The minimum is 1/2 hour before class. Bring a reusable water bottle for sipping water during class. Different teachers and schools of yoga teach the same poses in different ways. 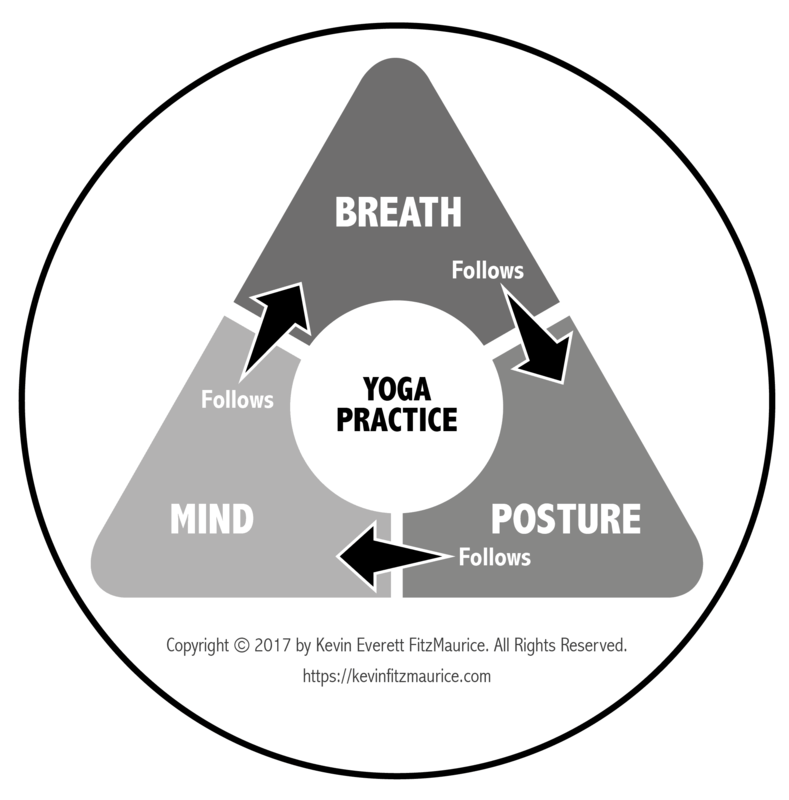 Experiment and use the method that is best suited for your practice and for increasing your balance, openness, and stretching. Be willing to explore other ways to find out what works best for you. But remember, this can change in the future. Every yoga teacher should be allowed to teach their class their way because then that teacher will teach their best class. Know the culture of your yoga class. Some accept and even applaud belching and the release of gases but most do not. If your yoga is meditative, then your yoga will relax your digestive functions leading to releases. Also, some yoga poses encourage the release of gases and can be named accordingly, for example, Pavanamuktasana or wind-relieving pose. Bring a handkerchief and blow your nose often. Sweating releases toxins from your body and so does nasal-mucus drainage. Sniffling is also considered impolite in many cultures. Popping noises indicate a joint is being stretched. Popping noises from poses are fine, but you should not try to cause, force, or induce popping noises because that might lead to physical problems from exaggerated stretching. Be aware of the limits of your own body. Do not try to do a pose that will harm your body. Be responsible for protecting your body even if an instructor wants you to do something that will harm your body. It is your practice. Focus on increasing your body’s balance, flexibility, and openness within the range of your practice, not within the range of ideal poses, perfect poses, other students, or class instructions. Choose to go deeper into your poses as your skill develops. This is an endless process. Eventually, you can choose to make your practice a yoga dance by adding extra movements purely for their beauty, expressiveness, and grace. There are differing opinions on how long to hold stretches and on how many repetitions of an exercise to do. Apparently, longer times for holding poses are required as you age. Perhaps you can tune into your body and learn its limits as a way to develop your own times and numbers. Experiment and test your results. In the USA, most yoga classes define themselves as either Vinyāsa or Hatha style yoga. Vinyāsa is flow yoga, movement yoga, or non-stationary yoga. Hatha yoga is stationary, fixed, or stretch-focused yoga. In this way, Vinyāsa (moving through poses) and Hatha (holding poses) are opposite styles. Both have validity and usefulness. You have the right to prefer one over the other. Other countries likely use these same terms in different ways. For example, Hatha can also be used to indicate beginner’s level yoga classes. Experiment with different ways of reminding students to breathe. The following list encourages conscious breathing. Be aware of your: alert breath, alive breath, attentive breath, awake breath, aware breath, aware breathing, breathe your breath, conscious breath, conscious breathing, felt breath, focused breath, meditative breath, mindful breath, observed breathing. FOB is an acronym pronounced “fob” that stands for the three main benefits of doing yoga. In weightlifting, the saying is, “No pain, no gain,” because you have to tear your muscles to make them larger. In yoga, the saying is, “No strain, no gain,” because you have to stretch to open up more. The idea is to go to your limit and then go around 3% further to increase your flexibility, openness, and balance (FOB). You are the only one in your body so it’s up to you to not to go too far and to take it easy on days when that is what you need.